Otorhinolaryngology is the branch of medicine deals with diagnosis, treatment, and management of diseases, abnormalities, and other problems related to ears, nose and throat, as well as the head and neck, mouth, sinuses, and larynx. This is considered as one of the oldest medical practices in USA. This conference gives advanced information regarding present treatment procedures, nonsurgical therapies used and applications of medical devices in the field of otorhinolaryngology. This is beneficial for researchers, physicians, students and other health care professionals in the field of otorhinolaryngology. 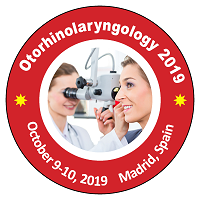 9th International Conference on Otorhinolaryngology during October 9-10, 2019 Madrid, Spain highlights the theme “Otorhinolaryngology: Modern Innovations and Clinical Aspects”. This conference gathers physicians, surgeons, health care professions, research fellows, business persons and medical students in the field of otorhinolaryngology. This conference consists of eminent persons like directors and chair persons as keynote speakers who deliver a valuable speech in otorhinolaryngology field. 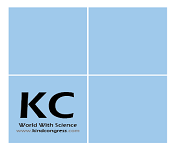 It consists of oral presentations, poster presentations and workshop. This conference consists of impressive sessions/tracks in the field of otorhinolaryngology. It encourages the young researchers, physicians, faculty, students and exhibitors by awarding them with best poster and best exhibitor awards for their extraordinary presentations and workshop. It gives the best platform for researchers to share their thoughts and ideas. This conference mainly aims about current developments in otorhinolaryngology which is more helpful for research fellows, physicians and medical students to improve their knowledge in their profession. Related Society: The South African Society of Otorhinolaryngology Head and Neck Surgery | The Australian Society of Otolaryngology Head and Neck Surgery | American Academy of Otolaryngology - Head and Neck Surgery | Canadian Society of Otolaryngology , American Laryngological Association | American Society of Pediatric Otolaryngology | North Carolina Society of Otolaryngology. Ear conditions are one of the most common diseases which come across with wide range of diversity.and tis is the field where early digonosis is required because once hearing gone is gone forever. Human ear also takes care of he equilibrium of our body.Its shown by studies that 2 to 3 out of every 1,000 children in the US are born with a detectable level of hearing loss in one or both ears and approximately 15% of American adults (37.5 million) aged 18 and over report some trouble hearing. Related Society: New England Otolaryngological Society | German Society of Oto-Rhino-Laryngology | Asia-Pacific Society of Thyroid Surgery, Association of Otolaryngology Administrators | Association of Medical Doctors of Asia | Association of Academic Departments of Otolaryngology | American Laryngological Association. Hearing loss, also called as hearing impairment, is a partial or complete inability to hear. A deaf person has little to no hearing. Hearing loss may arise in one or both ears. In some people, particularly older people, hearing loss can result in loneliness. Hearing loss can be temporary or permanent. Hearing loss may be caused by a number of factors like genetics, age, exposure to noise, some infections, birth complications, trauma to the ear, and certain medications or toxins. Hearing loss can be caused by many different reasons, some of which can be successfully treated with medicine or surgery, depending on the disease process. Hearing loss can be characterised by which part of the auditory system is damaged. There are three basic types of hearing loss conductive, sensorineural, and mixed hearing loss. 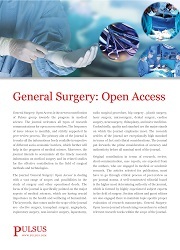 Related Society: British society of Otolaryngology | Egyptian Rhinology Society | European Rhinologic Society | Nordic Association of Otolaryngology, Oto-Rhino-laryngological Society of Japan | Italian Society of Otorhinolaryngology – Head and Neck Surgery | British Rhinological Society, Labenese society of Otolaryngology. Disorders of the throat and larynx may denote inflammation and infections, prolonged inflammation, or anomalous growths that are more common among adults. Throat infections are particularly common among children, although adults may be affected as well probably had a sore throat. The cause is usually a viral infection, but other causes may comprise allergies, infection with strep bacteria or the leaking of stomach acids back up into the oesophagus, called GERD. Most throat problems are minor and go away on their own. Treatments are needed depend on the problem severity. Speech Disorders are a kind of throat disorder where normal speech is interrupted. This can mean stuttering, lisps. A person who is unable to speak due to a speech disorder is considered mute. Difficulties pronouncing sounds, or articulation disorders, and stuttering are some of the examples of speech disorders. One of the most commonly experienced speech disorders is stuttering. These disorders mainly affect the vocal cords, muscles and nerves of throat and other structures within the throat. People who have certain medical or developmental conditions may also have speech disorders. Speech disorders may be inherited, and they can develop over time. Tonsillitis are most common disease which effect tonsils which is located in the throat region. another main problem that can occur in tonsils are tonsil stones . This are rare, they are possible. The main dangerous complications that may result from tonsil stones is deep infections in tonsils , which is generally known as an abscess. Large tonsil stones can damage and disrupt normal tonsil tissue. This can lead to significant swelling, inflammation, and infections. Some cases surgery myt be required to cure tonsli stones. Sleep apnea is a severe sleep disorder that occurs when breathing is interrupted during sleep. It is a common condition in which you have one or more pauses in breathing or shallow breaths while you sleep. Breathing pauses can last from a few seconds to minutes. They may occur more than 30 times or an hour. Typically, normal breathing then again starts pauses, sometimes with a loud snort or choking sound. In many cases, an apnea, or temporary pause in breathing, is caused due to the collapsing of tissue in the back of the throat. The muscles of the upper airway relax when people fall asleep. Not every person who snores has sleep apnea, and not everyone who has sleep apnea snores. Sleep apnea can make you feeling tired or unrefreshed when wake up in the morning even though you have had a full night of sleep. Otolaryngologists specialise in the diagnosis and treatment of conditions related to head and neck, specifically the ears, nose and throat. ENT surgery is often necessary as a treatment for conditions that affect the ear, nose or throat, when medication and other non-invasive treatments are ineffective. Otorhinolaryngology or ENT is one of the most diverse medical specialties with various sub-specialties like laryngology, pediatric, otology, neurotology, implantation otology, oncology, and rhinology and sinus surgery, among others. ENT surgery is also used in reconstructive and cosmetic surgery to correct deformities or injuries. Laryngopharyngeal reflux is defined as the reflux of gastric content into larynx and pharynx. LPR is a condition that takes place in a person who has gastroesophageal reflux disease (GERD). Acid made in the stomach travels up the esophagus in this condition. When that stomach acid gets up to the throat, it is called laryngopharyngeal reflux (LPR). LPR is caused by acid present in stomach which bubbles up into the throat as a result of (Gastroesophageal reflex disease) GERD. Fortunately, most cases do not require medical care. They can be managed with change in their lifestyle. People who have certain dietary habits, people who regularly wear tighter fitting or binding clothing, people who are obese, and people who are overstressed are more likely to have laryngopharyngeal reflux. 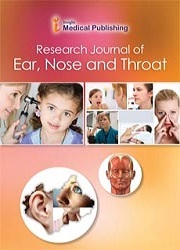 Same as the hearing trouble nasal condistion are also common.Nasal block, nasal conjestions and even commom cold ae are most frequent among them.As the our nasal septum is made up of cartilage it is easy for anyone to have a temporary or permemnant nose damage. The lateral wall of each nasal cavity consists of the maxilla. . The paranasal sinuses are connected to the nasal cavity through small orifices called ostia. The nasal cavity is divided into two segments: the respiratory segment and the olfactory segment. A nosebleed, also known as epistaxis, is the common form of bleeding from the nose. It is usually seen when the blood drains out through the nostrils. Nosebleeds are most often caused by local trauma but can also be caused by bacteria, nasal or sinus infections, and prolonged inhalation of dry air. Nosebleeds can be dramatic and terrifying. Fortunately, most epistaxis is not serious and can be managed at home, although sometimes medical treatment may be necessary. Sometimes in more severe cases, the blood can come up the nasolacrimal duct and out from the eye. Clotted and fresh blood can also flow down into the stomach and cause nausea and vomiting. Nasal allergy is an inflammatory response to house dust, mold animal hair, and pollens. An allergen is a harmless substance that causes an allergic reaction. Allergic rhinitis, or hay fever, is an allergic response to specific allergens. Pollen is the most common allergen in seasonal allergic rhinitis. Allergic rhinitis or hay fever is allergy symptoms that occur with the change of seasons. If you have nasal allergies, you may be used to sneezing and congestion which last entire the day. A runny or stuffy nose is one of the most common sign. Head and neck conditions can be caused due to several health related issues neck pain , back pains , migrines are some among them, and tis also refer mainly to tumours that affect the head and neck areas including the nose and sinuses, the nasopharynx (area behind the nose just above the mouth and throat), the oral cavity (mouth), the thyroid glands (below the voice box), the oropharynx (throat), the larynx (voice box), the hypopharynx (inlet into the throat) and the salivary gland. These tumours can be benign (non-cancerous) or malignant (cancerous). Neck lumps are ae mainly an early symptom. Head and neck cancer is a group of tumours that starts inside the mouth, nose, throat, larynx, sinuses, or salivary glands. Cancers of head and neck usually begin in the squamous cells that line the moist, mucosal surfaces inside the head and neck. These squamous cell cancers are often denoted to as squamous cell carcinomas of the head and neck. Head and neck cancers can also starts from the salivary glands, but salivary gland cancers are relatively uncommon. The symptoms of these cancers may include a sore throat that does not go away, difficulty in swallowing, and a change or hoarseness in the voice. Related Society: British society of Otolaryngology, Egyptian Rhinology Society, European Rhinologic Society, Nordic Association of Otolaryngology, Oto-Rhino-laryngological Society of Japan, Italian Society of Otorhinolaryngology – Head and Neck Surgery,British Rhinological Society,The European Academy of Facial Plastic Surgery. Head and neck oncology is the subspecialty of otolaryngology (ear, nose, and throat) that provides medical and surgical treatment for both benign and malignant tumours of the head and neck. Primary goal of the Head and Neck Oncology Program is to develop and support research and educational activities to ultimately improve detection, prevention, rehabilitation and increasethe quality of life issues concerning to head and neck cancer, and also for further development of translational, interdisciplinary research and educational programs. ENT devices are equipment used for identification, therapy, or surgical treatment of any disorders related to the ear, nose, or throat, thereby helping to correct any problems related to hearing, smelling, snoring, or speaking. There are a wide range of ENT devices are available in the market consisting of endoscopes, hearing screening instruments, powered surgical tools, hearing aids, hearing implants, surgical devices which are handheld, balloon dilation devices which are used in sinus, CO2 lasers, image-guided surgery systems, ear tubes, nasal and otological packing material, and voice prosthesis devices. All these devices are intended for use only by or under the direction of a physician who is well trained and skilled in Technology. Before handling it is very important to read the directions to understand the contraindications, warnings, and precautions related with these devices. Diagnosis and Treatment refers to the medical and surgical treatment of the most common and clinical conditions in the fast growing field of otorhinolaryngology. Otolaryngology head and neck surgery is a subspecialty in medicine that deals with medical and surgical controlling of conditions affecting the ear, nose, throat, and the neck the care of the senses including smell, taste, and balance hearing fall under its field. 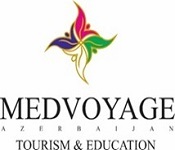 As a specialty, it deals with other medical and surgical subspecialties including allergy and immunology, endocrinology, gastroenterology, haematology, neurology, neurosurgery, oncology, ophthalmology, paediatrics, plastic and reconstructive surgery, pulmonology, radiation oncology, rehabilitation, rheumatology, thoracic surgery, among others. Further, the specialty includes the care of the young and the old, man and woman, as well as benign and malignant diseases. Cosmtic surgerys have been a recent trend in many places ,including india and it is also a most frequently done surgery . Purpose of this may vary accordingly. There are several methodes for doing this.The procedures, techniques, and principles of cosmetic surgery are entirely focused on enhancing a patient’s appearance. Cosmetic surgery can be performed on all areas of the head, neck, and body. Because the treated areas function properly, cosmetic surgery is elective. Cosmetic surgery is practiced by doctors from a variety of medical fields, including plastic surgeons. TransOral Robotic Surgery (TORS) is a modern surgical technique used to treat tumors of the mouth and throat through the mouth. TransOral Robotic Sleep Apnea (TORSA) surgery use same way to open the upper airway of patients with obstructive sleep apnea. In this TORSA surgery , the surgeon uses a surgical robot to view and access structures in the oral cavity and pharynx , without any cuts or opening of the neck, chin or lip. Current TORS techniques include radical tonsillectomy, resection of palate and base of skull tumors, hemiglossectomy and resection of tumors above and involving the larynx. The TORSA technique is used for uvulopalatopharyngoplasty, hemiglossectomy etc. This is the technique and process of creating various visual representations of the interior part of a body for clinical analysis and medical checkups , imaging techniques are really important now a days because it is easly to detect the dmages or any internal problems .Medical imaging in otorhinolarngology can be used for revealing internal structures hidden by the skin and tissues, as well as to diagnose and treat disease. several tumours or other inner ear defects can be detected by this. Rehabilitation is a therapy to regain or improve function of body which has been lost or weakened. In ENT rehabilitation focus on Speech & language therapy to help in speaking and VRT (Vestibular Rehabilitation Therapy) focus to improve balance and also to minimise the experience of dizziness, improve patients stability while in motion, increase coordination, reduces falls and anxiety. It is difficult to provide a general outline of the VRT exercises because they are designed individually to and prescribed for each patient. Most of these exercises involve movements of the head and body to help your brain and to compensate from the inaccurate information they are receiving from their inner ear, and thus regain control over their balance. Trends in Otorhinolaryngology provides us with the latest and disseminate sectors for understanding Otolaryngology and related discipline. Trends in Otorhinolaryngology focuses on aspects like surgical oncology, oral cancer, thyroid cancer, mastoiditis, rhinitis and related aspects such as trends in pharmacy sectors like anesthetics, non invasive techniques and for the surgical care of cancers and benign tumors of the head and neck. With increase in prevalence of ear, nose and throat disorders in geriatric people the demand of ENT devices expected to drive the ENT devices industry rapidly over the upcoming years. 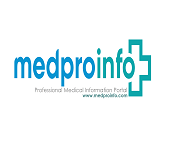 Expanding levels of healthcare awareness among patients and healthcare professionals expected to increase the growth of the market over the forecast period. Presence of sophisticated healthcare infrastructure in the communities, favourable government initiatives led to growth and demand for ENT devices across the under developed countries due to the extensive research and development targeted at developing technologically advanced products. Otorhinolaryngology is the branch of medicine deals with diagnosis, treatment and other problems related to ears, nose and throat, as well as the head and neck, mouth, sinuses, and larynx. Increasing use of some of the electric systems is partially caused by the growing attractiveness of access control systems which take less time for diagnosis, treatment and fewer damages during the time of surgery with minute pain. Increasing age leads to increase risk for otorhinolaryngology disorders. This results in the use of advanced laser and radiofrequency technology during surgical and diagnostic procedures and is expected to drive ENT devices market size rapidly in coming forecast periods. Ear, nose, and throat (ENT) devices are special equipment used for detection, treatment or surgical procedure of any condition related to the ear, nose or throat. They also refer to artificial materials and prosthetic devices used to restore any dysfunction of the ears, nose and throat or any problems with hearing, smelling or speaking. Minimally invasive surgical techniques involve the use of advanced and thin ENT devices in nasal, ear, and throat. The popularity of these types of surgeries is increasing because they are associated with minimal tissue damage, a quicker recovery, less irritation, and less scarring. ENT instruments available in the market are endoscopes, hearing aids and implants, handheld surgical devices, balloon dilation devices for sinus, CO2 lasers, image-guided surgery systems, ear tubes, and voice prosthesis devices. Global ENT devices market was valued at €12.37 billion in 2015, and is expected to reach €21.36 billion by 2022, growing at a CAGR of 8.1% during the forecast period. Growing population under geriatric sector will definitely stimulate the ENT devices market scope. As per the WHO statistics, geriatric people are set to grow to over 16% by 2050. Since aging is considered as a serious factor inducing deafness and other hearing disorders, this phenomenon will raise industry demand in the coming years. Radiofrequency hand piece instruments were pegged at $ 0.8957 billion in 2015. While the hearing implants was driven by cochlear implants in 2015. Hearing implants market is expected to grow at a comparatively higher CAGR of 7.2%. This high growth can be attributed to growing geriatric population, and also increase in occupational hearing losses. The ENT devices market remarks extensive growth in the Americas due to the increase in need to reduce hospital stays and rising government measures to lessening hospital expenditures. This will drive the penetration of ENT instruments in the region from 2017 to 2021. 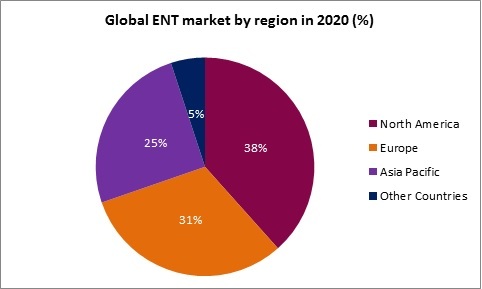 ENT device market is working for constant invention in design and technology to make these devices more non-invasive. They are constantly investing funds and resources into R&D departments to increase the scope of their devices. ENT developed Propel Mometasone Furoate Implant (PMFI) for treatment of chronic sinusitis which is a bio-absorbable steroid which is placed directly into the sinus mucosa. It controls the release of drugs and dissolves over time. ENT Devices Market report is a complete study of present market trends in the market and industry growth. These analyzed at regional level to provide complete market report for the years 2013, 2014, 2015 and coming year’s upto 2020. Each market is broadly analyzed at a granular level by geography for Ex: North America, Europe, Asia and rest of the World to produce in depth on the global development. North America has occupied the largest region in ENT devices market in 2015 and expected to reach 40% over in 2020. UK, France and Germany ENT devices market is high and dominates the European industry. Europe also has high degree of product dispersion mostly, in sections such as hearing aids and the presence of patient awareness and sophisticated healthcare management. Favourable government has led to development in demand for hearing aids instruments across Asia Pacific, which is to record a 6.5% CAGR through to 2023. Asia Pacific market is expected to have CAGR of 6.5% during the forecast period due to the presence of target disease people, increase in distributers in ENT area, increasing concern among people for ENT disorders. Increasing age leads to a decline in immunity levels in geriatric population who are suffering with ENT problems. 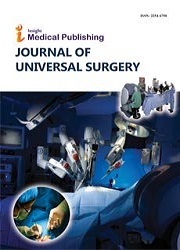 This market research analysis recognises the growing preference for minimally invasive methods as this is one of the major factors for this market. With several advantages such as decrease price, hospital stay, lower risks of infections after surgery, fast results, and rapid recovery period.